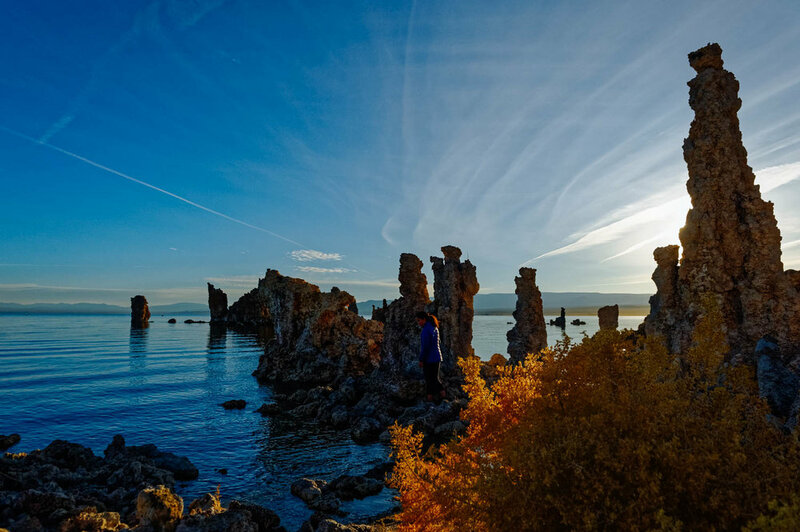 Mono Lake’s “petrified springs”are spectacular examples of what nature can do with just a few basic ingredients. When calcium-bearing freshwater springs well up through the carbonate-rich lake water, a chemical reaction happens and solid limestone (aka tufa) is formed around a spring. The towers are above the waterline now because the city of Los Angeles began diverting the streams that feed the lake in 1941, lowering the lake's level by more than 40 feet. Since a Water Board ruling in 1994, the lake has been gradually refilling to its 1963 levels; when it's done, part of this trail will be underwater again. So don't put your visit off for too long. Fortunately, tufa continues to form today where freshwater and lake water meet. 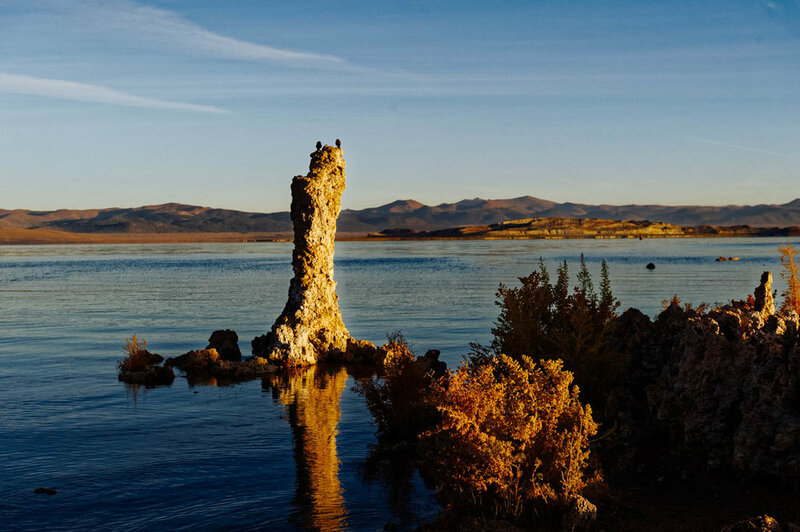 Mono Lake’s water contains 10% salt (just as a comparison point, the Pacific Ocean contains 3.5% and Lake Tahoe 0.001%). I was very surprised to find out that you can actually swim in Mono Lake (and yes, float!). It was too cold when we were there, but it would have been fun to try. You can actually snorkel to see interesting formations under water, but you’ll have to follow some precautions (like a wearing a very tight mask and applying Vaseline on your lips because of the very salty water). The lake’s alkalinity (pH=10) makes life impossible for fish. However, there is a type of brine shrimp that grows only in that lake and that is sold as tropical fish food. The best time to take pictures is very early in the morning before sunrise (so you can get a vast array of colors). I am not that dedicated a photographer, but got there at about 7:30 am and the light was still beautiful and quite surreal, even if I am not super happy with how the pictures turned out... (I still wouldn't get up earlier...). The entrance fee is$3/person or free with a National Park Pass (or interagency pass).